Hungary is full of superlatives- the largest lake in central Europe, the largest tabernacle in Europe and the largest natural grassland in Europe. Hungary is much considered to be the best place for first-time visitors to Central and Eastern Europe. As a part of international broker firm, we provide best car rental in Hungary in affiliation with best car suppliers. With us, you can get wide fleet of rental cars ranging from small economical hatchback to high-end cars. Hungary is located in Central Europe and its capital city is Budapest. Hungary is ranked as one of the top 15 tourist destinations in the world and contains multiple World Heritage sites and UNESCO Biosphere reserves along with number of largest buildings of its kind in Europe from the 3rd largest church called Esztergome Basilica to the 2nd largest Baroque castle in the world known as Godollo. Hungary is the most logical starting point for visitors. The city is a bustling beehive of modernity with plenty of cafes, museums, clubs, ancient buildings and more. Whether you take a day trip to Eager or head into the wine country of Eager and Tokaj, there is plenty of ethnic diversity and wonderful sights, flavors, and sounds just waiting to be discovered. 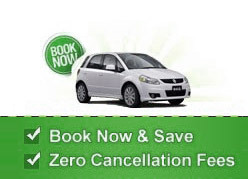 Sightseeing in Hungary can be made easy with a low priced car rental deal. Check our easy to book rental form given above to search for more pick up locations in Hungary.